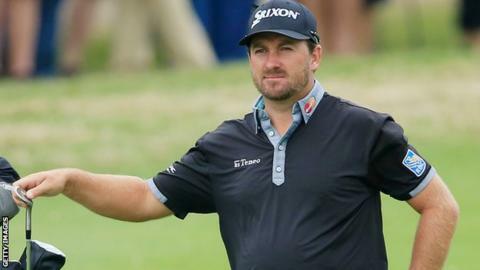 Graeme McDowell crashed out of the World Golf Championships Match Play event losing 3 & 2 to new Australian world number two Jason Day. McDowell was two up after four holes but was pegged back to All Square by Day after eight holes in Austin, Texas. Day hit back-to-back birdies to lead for the first time after the ninth. His four at the par-five 12th put him 3 Up and with McDowell unable to claw his way back, the match ended after 16 holes. Day next plays England's Paul Casey who beat Thailand's Thongchai Jaidee 2 & 1.